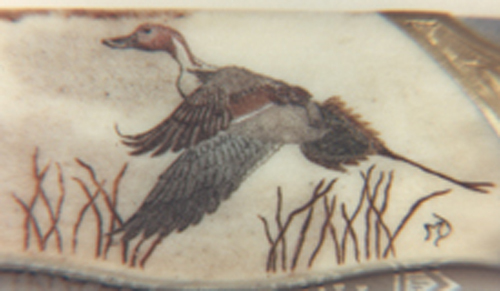 Contact Scrimshaw By Mary with your ideas. pintail duck done on polished stag. wolf eyes done on polished elephant ivory. 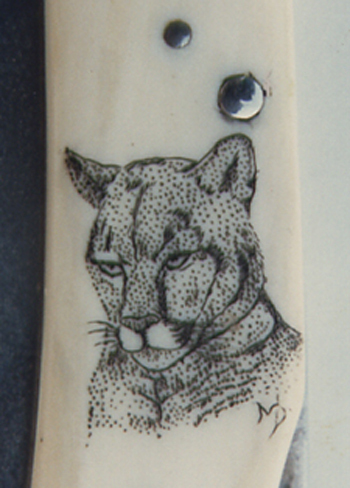 of a mountain lion on elephant ivory.